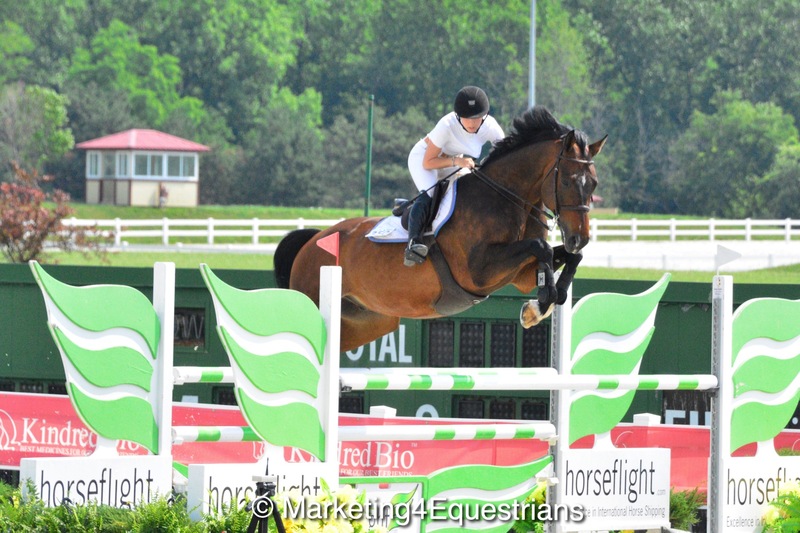 Lisa Goldman-Smolen and Barbara Disko's Sovereign galloped to the top spot in the $35,000 Hits Grand Prix during the Showplace Spring Classic at Balmoral Park. 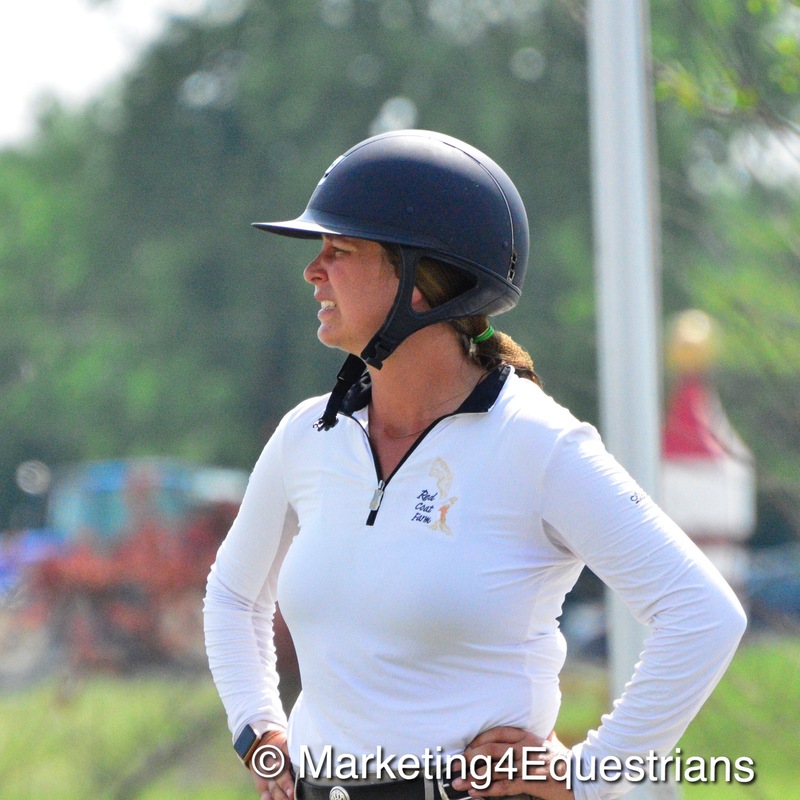 Crete, IL - June 19, 2018 – Professional rider and trainer, Lisa Goldman-Smolen, is well known in the jumper ring for her galloping style and fast paced jump-offs, but what you probably didn’t know is the whirlwind pace she keeps outside the show ring. 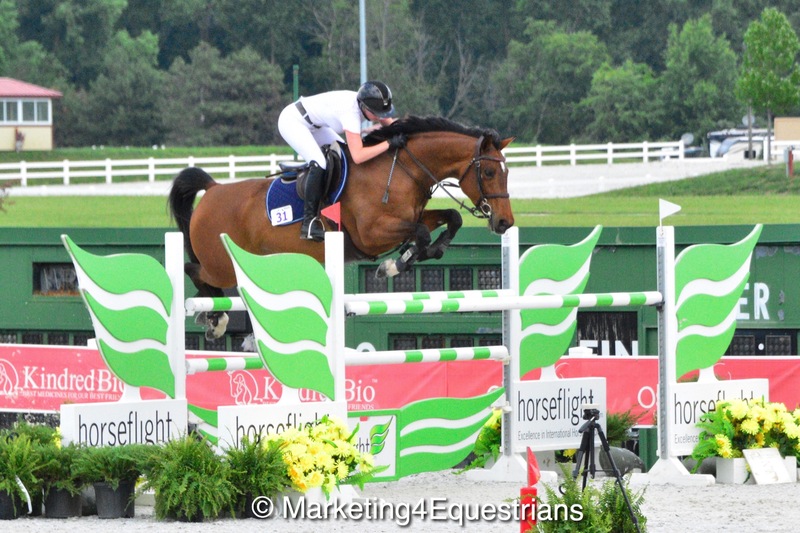 Goldman-Smolen already has eight Grand Prix wins this season and a barn full of junior jumper riders showing at all levels under her new Gold Run Show Jumpers banner. She also organized her May wedding to Darren Smolen, (thus the name change!) on top of it all! The honeymoon is the only thing that may have to wait until the end of show season! 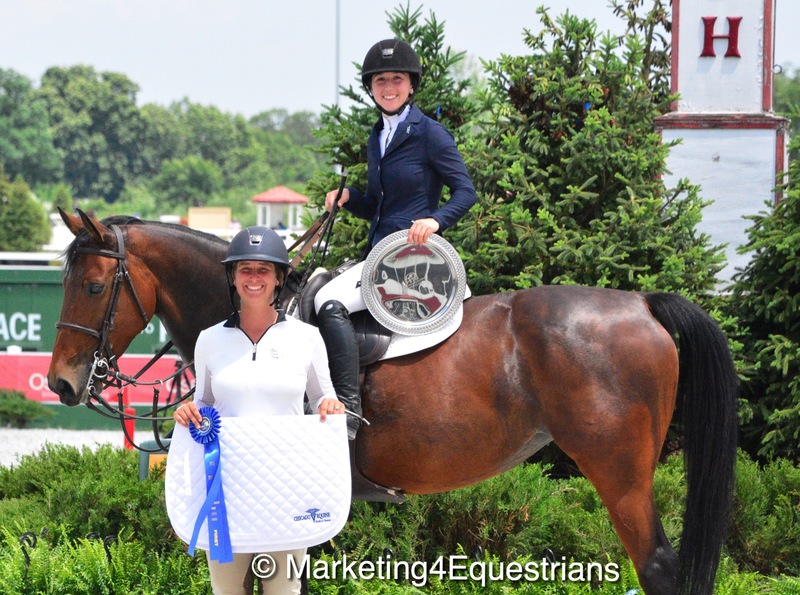 Goldman-Smolen and her mother, Mary, put in long days at the shows with the large group of junior jumper riders from early morning hacks, getting customers schooled for classes during the show day, entries, and barn organizing, to the last grand prix horse and presentation in the ring. The mother-daughter team is hands on with all the horses in their care, insisting their riders to do the same. The Gold Run team also works together strategically, bringing jumper riders up the ranks from the puddle jumpers to the grand prixs. It’s a system that works well for Gold Run riders. At the recent Showplace Spring Spectacular at Balmoral Park, Gold Run riders frequented the winner’s circle and the famous finish line post, that also served as the perfect backdrop for the couple's wedding at Balmoral Park! Lisa and Darren in the winner's circle on their big day. Goldman-Smolen is always busy with young horses she is bringing along at home or on the road to keep her string at peak performance. 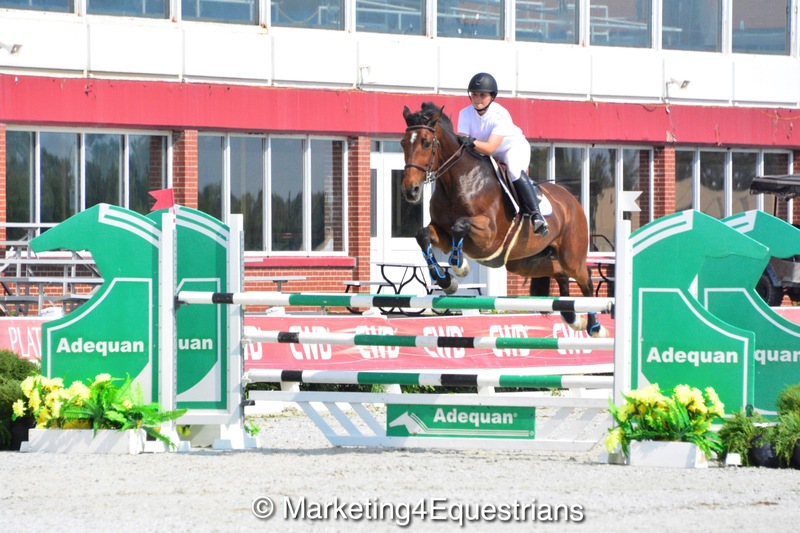 She's not one to put a lot of jumps into her horses and her incredible talent allows her jumpers to keep their own unique style. 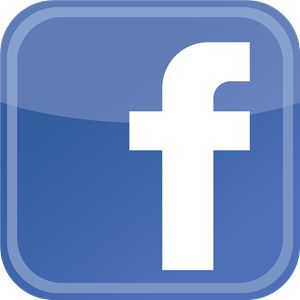 The competitive grand prix rider usually has multiple rides in the prixs and manages them efficiently, while making sure her riders are set to go as well. Their barn is a flurry of constant activity, yet she makes sure each horse has sufficient down time. Goldman-Smolen juggles the schedule to fit everyone in, including her new husband, dogs and a new house, with the help of her amazing mother and the Gold Run staff. She's tough to catch - in the ring or out of the ring! 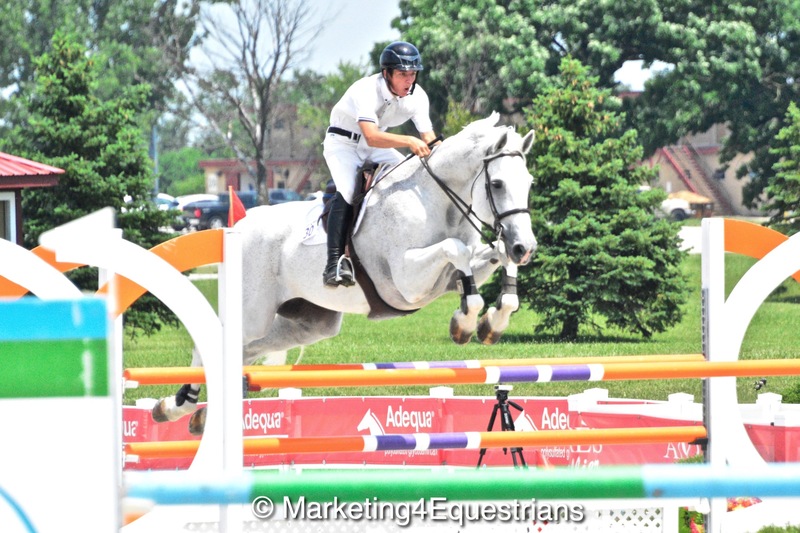 Adeline Rohrbach and Valladam won the $5,000 Chicago Equine Medical/SJHOF Junior/Amateur Classic -1.40m on Sunday at the Showplace Spring Spectacular II after winning Friday's class as well. 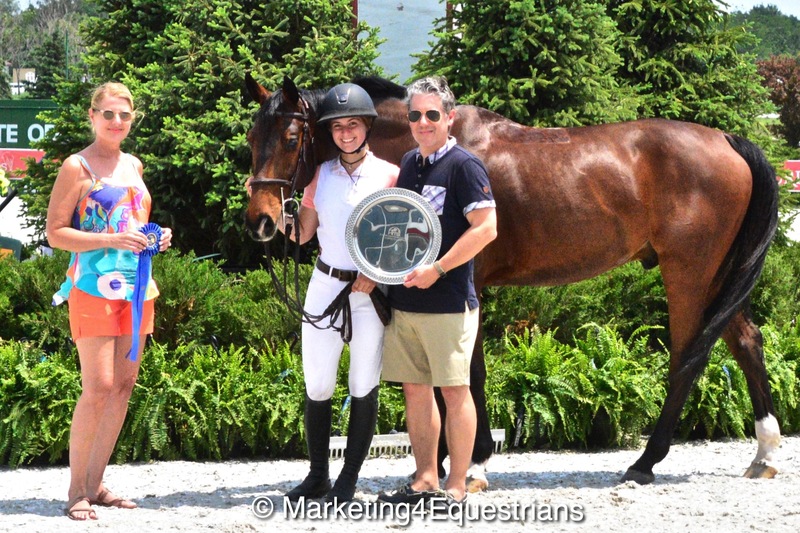 Centomani and Elese Kirby won the $5,000 NAL Junior/Amateur Jumper Classic-1.35m and claimed the Reserve Championship in the Junior/Amateur 1.30m division. 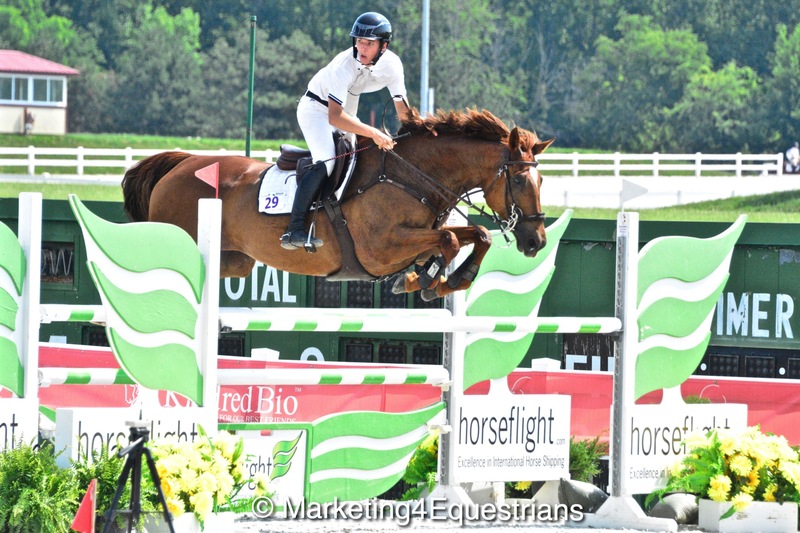 Kyle Perkovich and Nancy Whitehead's Rocscalla were 3rd in the $2,500 NAL Junior/Amateur Jumper 1.25m Classic. Kyle Perkovich and Zacantos Z owned by Robin Vilter. Congratulations to all the Gold Run riders and good luck as they head into Showplace Spring Spectacular III at Balmoral Park. For more information on Gold Run Show Jumpers contact Mary Goldman or Lisa Goldman-Smolen.